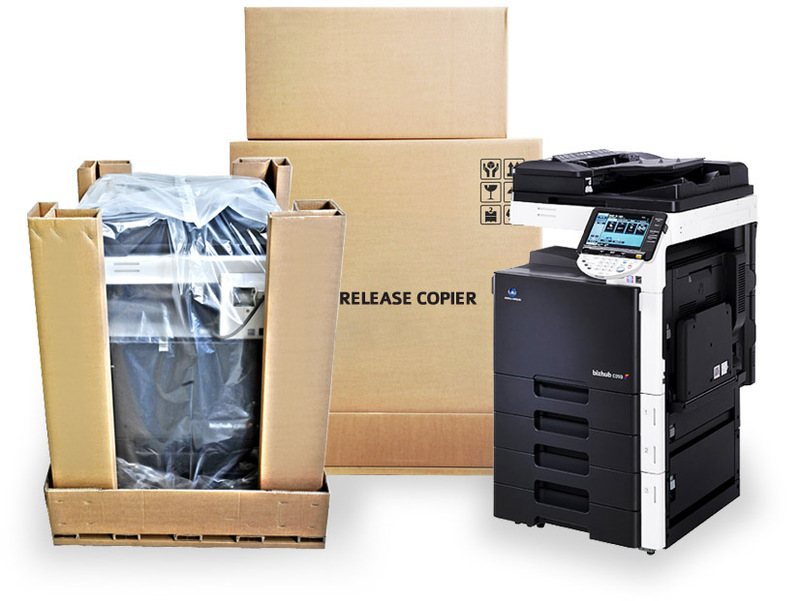 Release Copier » What makes us different from other suppliers? What makes us different from other suppliers? First of all, Release Copier follows a carefully developed and ISO 9001-certified system to refurbish and remanufacture the copiers with accessories that we are selling. During the process we continuously make controls of the machines to make sure that they are holding the high quality that we have promised to all our customers. For each individual machine that is finished, we always write a report of the working process that are being saved in our archive. Finally, we pack every machine carefully to make sure that it is protected from the moment it leaves our doorstep to the arrival of our customers. As you can see in the pictures, the corners of cardboards is reinforced and the machines itself is wrapped in a plastic bag to protect it from dust. A CD with installation files and an operation manual in English is also delivered together with the machines. Since the toner is not included with the machines there is no risk for it to leak during the transport.